At the end of my year spent in Australia my mom came over to travel for a few weeks and to haul me back if I refused to leave! 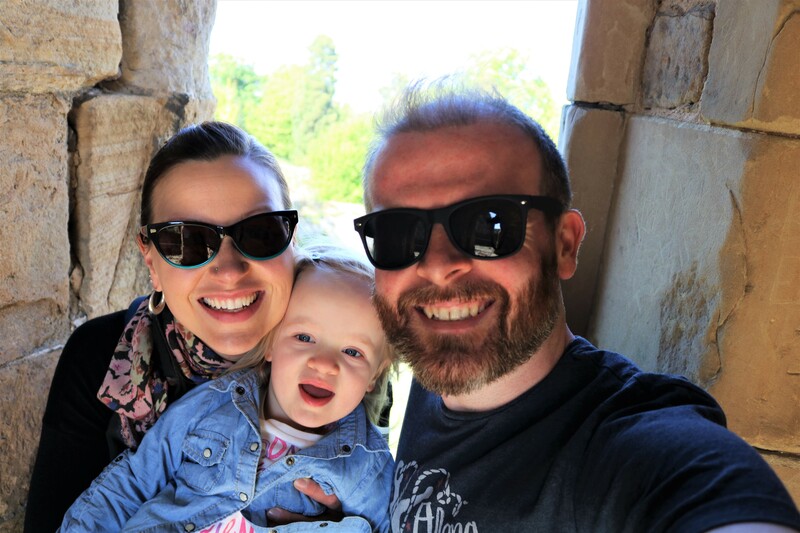 We covered a lot of ground in the three weeks she was over – diving on the Great Barrier Reef, a road trip around the south island of New Zealand, a visit to Uluru, a drive down the Great Ocean Road, and a grand tour of Tasmania, to name but a few. I told you that we got around! While in Tasmania we visited one of the most beautiful places I have ever been, Cradle Mountain – Lake St Clair National Park. 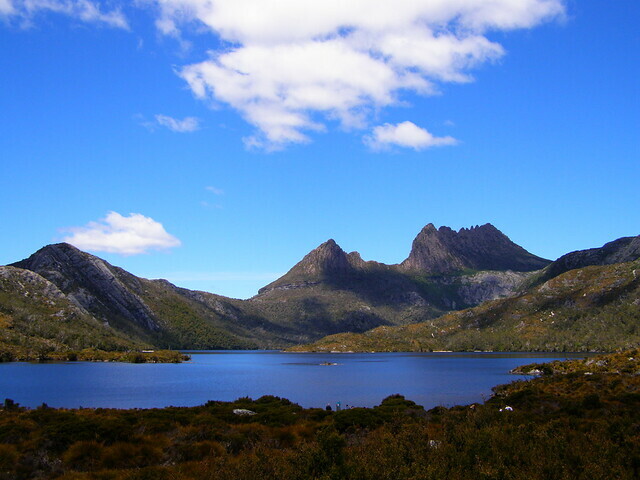 This is the rugged landscape that epitomizes Tasmania to me, and this photograph of Cradle Mountain and Dove Lake is the one that I will forever conjure in my mind when recalling my time in Australia’s lone island state. Under gloriously sunny skies we set off on the Dove Lake Circuit, a 6km walk that circumnavigates the lake. 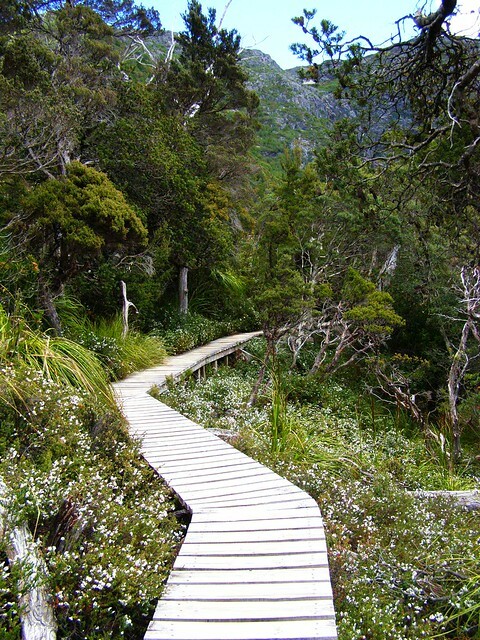 The mainly boardwalked path takes you around the foot of the majestic Cradle Mountain and through the Ballroom Forest, a temperate rainforest filled with ancient moss covered Myrtle-beech trees. 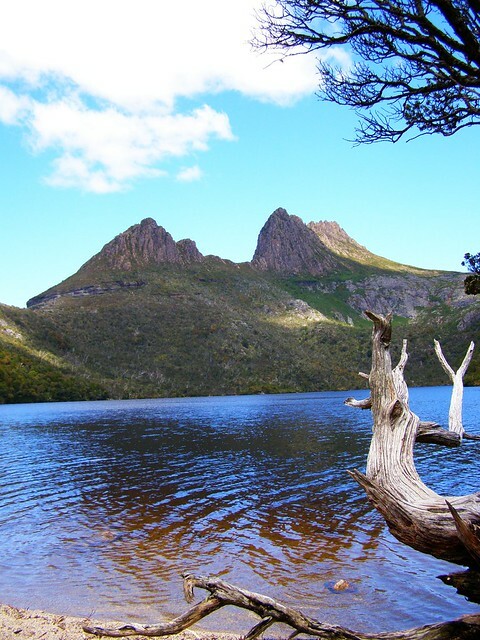 This is also the starting point for the epic Overland Track, a 65 km, six-day trek through the heart of the National Park. We even met some friendly local wild-life along the way, including a tiny lizard and a rather timid echidna. 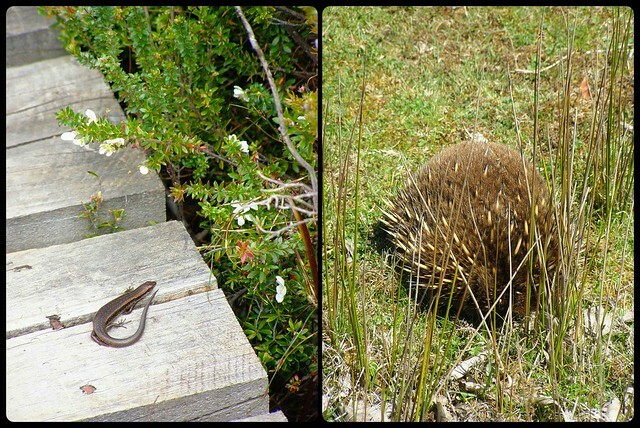 The echidna was trying to hide from us behind a tuft of grass – silly echidna! I’m really glad that I used up my cottage lake photos last week because I never would have dug these photographs out and had the pleasure of remembering my trip to Tasmania in 2007. That’s my favourite part of #FriFotos over on Twitter, the chance to shuffle through long forgotten travel photographs and all of the wonderful memories they inspire. Thank you for that #FriFotos!